It was exciting to learn that I made the front cover of Greensboro’s local rag Yes! Weekly. I know it’s only because the play is fantastic and not because of the photo, but it’s still nice to see. If you go to the article here you can see another photo that I took with credit. 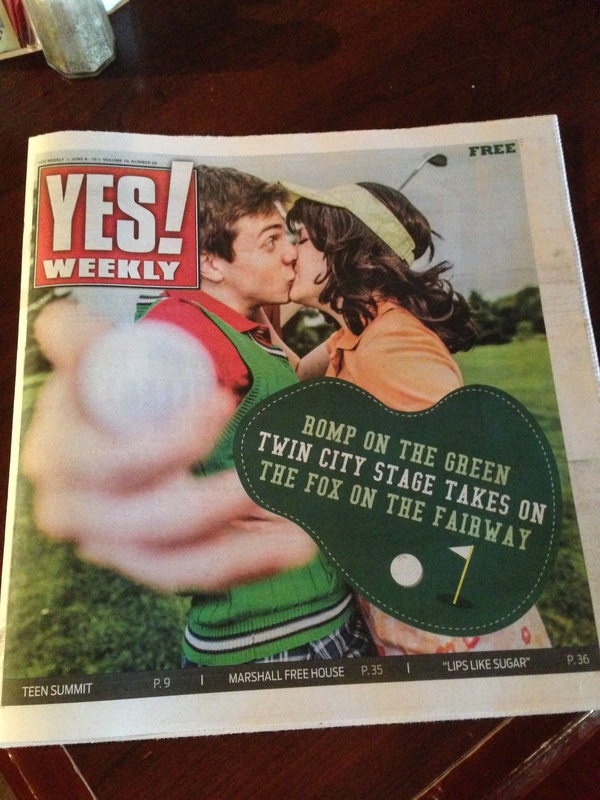 I also did one more video to promote the final weekend of Fox on the Fairway. If you’re local, you only have three more days to see it so don’t miss it! Get your tickets here. Backstage “drama” from Ioannis "Yanni" Batsios on Vimeo.